Thank you for visiting the biochemistry group headed by Prof. Dr. Anett Schallmey. We believe that enzymes are excellent and sustainable catalysts applicable for many chemical reactions and thus present a valuable alternative to many chemical catalysts. Our interdisciplinary research focusses on the investigation, utilization and engineering of novel enzymes as biocatalysts for various industrially relevant applications. immer montags bis donnerstags 10:00 bis 12:00. Nice! Jenny's manuscript about enhancing stability, activity and enantioselectivity by investigating position 123 in HheG has been accepted for publication in Scientific Reports. We are very thankful for contributions of all co-authors. The article will be made available with open access. Elia's paper titled "Selective ring‐opening of di‐substituted epoxides catalysed by halohydrin dehalogenases" has been accepted for publication in ChemCatChem. We thank all co-authors who made this publication possible. The article will be published with open access. Well done Jana, our article titled "Whole-cell cascade for the preparation of enantiopure beta-O-4 aryl ether compounds with glutathione recycling" has been accepted for publication in Journal of Biotechnology. From August 26th to 30th, the 9th International Congress on Biocatalysis (Biocat 2018) was taking place in Hamburg-Harburg. Six members of our group joined with four poster presentations. Jana's poster titled "Novel insights into β-etherase catalysis" was selected for a lightning talk and Anett gave a lecture on "Selective ring-opening of di-substituted epoxides by halohydrin dehalogenases". 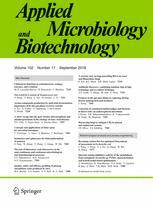 Good job Jana and Hauke, our review article about microbial β-etherases and glutathione lyases for lignin valorization has recently been published in Applied Microbiology and Biotechnology. Big thanks also to Pablo for his contribution. Julia's manuscript about the epoxide ring-opening of cyclic epoxides by HheG has been accepted for publication in ACS Catalysis. We thank all co-authors, well done! Our review "Recent advances on halohydrin dehalogenases — from enzyme identification to novel biocatalytic applications" has been published as open access article in Applied Microbiology and Biotechnology. Please have a look for the latest literature published on these interesting enzymes. The article Exploring glutathione lyases as biocatalysts: paving the way for enzymatic lignin depolymerization and future stereoselective applications has been selected for front inside cover of the Green Chemistry November 2015 issue.